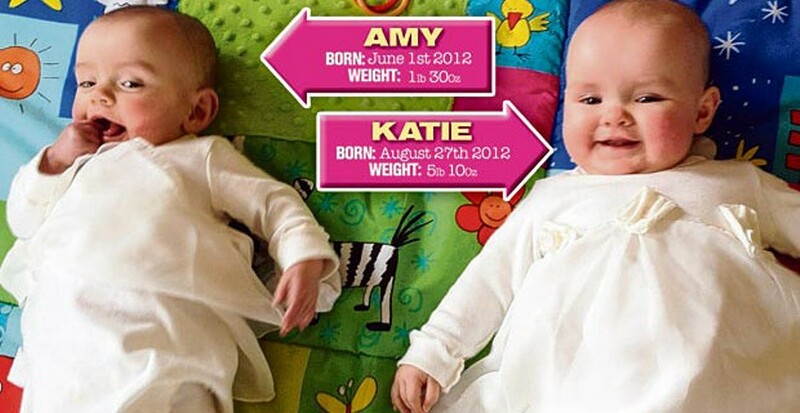 The Guinness world record for longest interval between births of twins is set by Amy and Katie. They were born 87 days apart in 2012. The mother of these ‘little miracles’ Maria Jones-Elliott is a Glenmore resident. Maria at that time was 34 got excited when the doctors told her in the seventh week of her pregnancy that she was carrying twins in her womb. Everything was normal till the 24th week. By the end of the 24th week Maria went into labour. She was still four months before her due date and her first child, Amy was born on 1st June 2012. The premature baby weighed only 1lb 3oz. Once Amy was born, Maria’s contractions stopped. Doctors tried to induce her the next day, but nothing happened. Being premature Amy was immediately kept in the incubator. “Amy was fighting for her life in an incubator and Katie was struggling to survive in my womb,” Maria told the newspapers. “After hours, Chris and I said, ‘enough is enough. Let nature take its course.’ It was the hardest three months of our lives.” After five weeks Maria could hold Amy in her arms. Maria was then visiting Amy everyday carrying Katie in her womb and hoping that both her daughters would survive. She says: ‘I couldn’t enjoy being a new mother at all and continuing on with a pregnancy not knowing which way it was going to go was so, so hard. On August 27, in the 36th week of her pregnancy, Doctors induced Maria a second time. After an hour Katie was born. She weighed 5lb 10 oz. Two hours after her birth Katie was reunited with her twin sister Amy who was still in the incubator. After the birth of Katie, Christ the father of the two went to register their births. Maria said: ‘I refused to register Amy until Katie arrived as they were twins. I wanted to do them together.” After 5 days Katie went home and Amy joined her on 16th October, seven weeks later. Eddie O’Donnell, a Waterford Regional hospital doctor where the twins were born said twins are born in succession most of the times. The birth of these twins 84 days apart is extremely rare. In such rare cases you end up losing one twin. Smith said that the job done by the doctors who were involved was commendable. Their critical thinking in such an unfamiliar situation was highly appreciated. Experts say that in medical terms, with only around a 40 per cent chance of survival for both twins, the Elliott twins’ story is the ‘equivalent of a lottery win’. 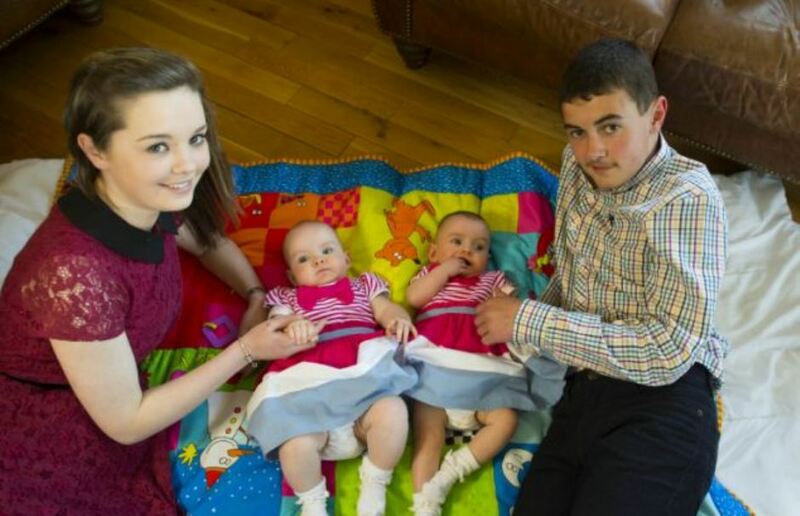 These Irish Twins have set a world record. The previous record holder was Peggy Lynn of Huntingdon, Penn, according to Field. Lynn gave birth to daughter Hanna and son Eric 84 days apart between 1995 and 1996. Today, Amy and Katie are beautiful toddlers living in Waterford, Ireland with mother Maria Jones-Elliot, father Chris Elliot and siblings Olivia and Jack.